October 20, 2009 by Ken Ward Jr. Ten years ago today, U.S. District Judge Charles H. Haden II issued a landmark ruling on mountaintop removal coal mining. 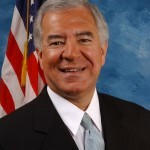 In short, Judge Haden declared that a mining “buffer zone” rule prohibited coal operators from burying all but the smallest streams with waste rock and dirt from strip mines. You can go back and read his ruling here. When valley fills are permitted in intermittent and perennial streams, they destroy those stream segments. The normal flow and gradient of the stream is now buried under millions of cubic yards of excess spoil waste material, an extremely adverse effect. If there were fish, they cannot migrate. If there is any life form that cannot acclimate to life deep in a rubble pile, it is eliminated. No effect on related environmental values is more adverse than obliteration. Under a valley fill, the water quantity of the stream becomes zero. Because there is no stream, there is no water quality. … The court believes it preferable to attempt to defuse invective and diminish irrational fears so that reasoned decisions can be made with all deliberate speed, but with distractions minimized. Seems like coal industry officials and some of our politicians (especially Gov. Joe Manchin) might want to re-read that, given the events and the rhetoric of the last week or so. And revisiting Judge Haden’s ruling — and all that has come after it in the last decade — might be worth it today. The very issue Haden took on — how the stream buffer zone rule applies to mountaintop removal — is still not resolved. More importantly, elected officials and regulators in Appalachia have dodged making real and difficult decisions about this mining practice for years, pushing all sides of the issue much closer to not just unpleasant shouting matches, but violent altercations. 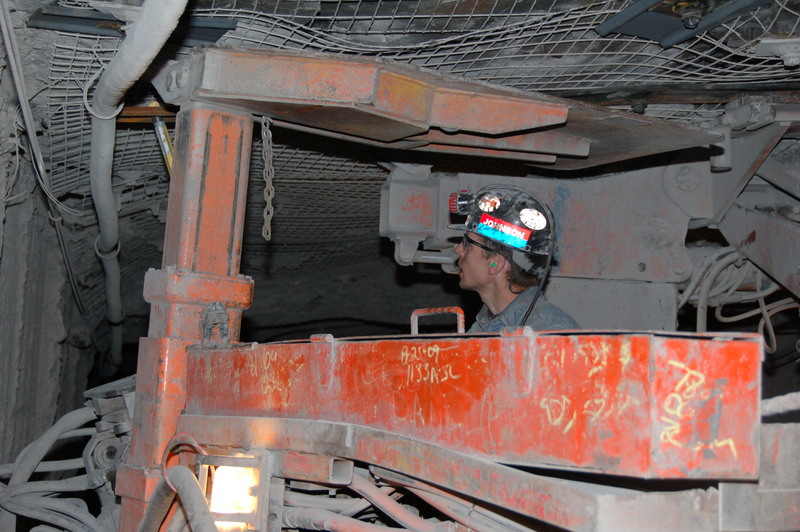 September 4, 2009 by Ken Ward Jr.
A roof bolter at work at Blue Mt. Energy’s Deserado Mine, Rangely, Colo. Photo by Phil Smith, UMWA. Here’s hoping everybody has a safe and enjoyable weekend with their families. 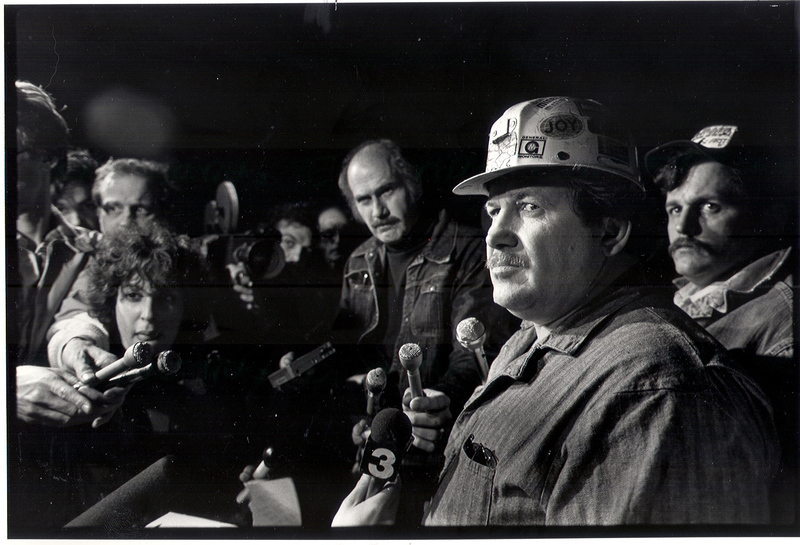 July 14, 2009 by Ken Ward Jr.
Former UMWA President Sam Church, front right, is shown at an early morning news conference at a mine disaster in this Gazette file photo. 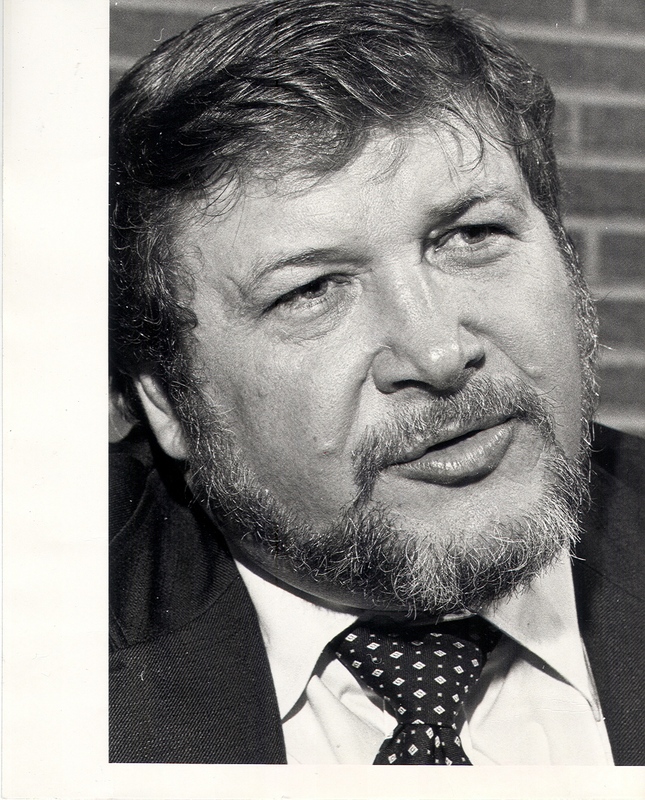 Word came in from the union a bit ago that former United Mine Workers of America President Sam Church died early this morning. He was 72. 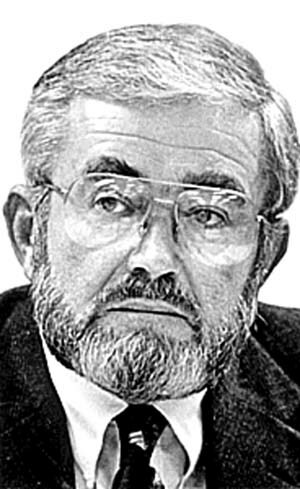 Church, who was born in Matewan, W.Va., was president of the UMWA from 1979 to 1982, when he was defeated by Richard Trumka in a bid for re-election to the post. His family moved to Virginia in 1944. He took a job at a sugar plant in Baltimore, Maryland in 1956 and joined the United Packinghouse Workers of America. He was elected to a variety of local union positions. This letter is in response to your letter of April 6, 2009, in which you alerted me to objections that were unintentionally not counted prior to the March 30, 2009, listing of Blair Mountain Battlefield in the National Register of Historic Places.Â Based on the information you provided, particularly the property owners and objections list dated May 21, 2009, we concur with your determination that more than 50% of the owners objected to the National Register listing and, therefore, the property should be â€œconsidered eligibleâ€ for listing in the National Register, rather than listed in the National Register. In your letter of April 6, you stated that the number of objections increased from 22 to 30 when recounted, with the total number of property owners remaining 57.Â Attorneys for the Department of the Interior determined that the objection submitted by Loretta White cannot be counted, because she has a life estate in a property, rather than fee simple ownership.Â Nevertheless, 29 objections constitute more than 50% of the 57 owners (or 56 owners if the owner of Loretta Whiteâ€™s property is already on the owners list).Â We consider the erroneous counting to constitute a procedural error, as discussed in 36 CFR 60.15(a)(4). CHARLESTON, W.Va. (AP) — Blair Mountain Battlefield is coming off the National Register of Historic Places.Jacqueline Proctor with the West Virginia Division of Culture and History said Monday that the 1,600-acre site likely will be removed from the list sometime next month. State officials were informally notified of the change on Thursday. Official notification is in the mail. Following a public notice and 30-day comment period, the Logan County site of a bloody battle over union organizing in 1921 will be designated as eligible for listing. The site was placed on the register in March. Efforts to remove it began after the number of objections was corrected to 30 of the 57 affected property owners. Federal rules bar listing on the register if a majority oppose it. July 1, 2009 by Ken Ward Jr.
I’ve written before on Coal Tattoo about the Ludlow Massacre and its place in labor and coal history. Over last weekend, Colorado Gov. Bill Ritter and an estimated 700 people were on hand for the dedication ceremony for the Ludlow Massacre Memorial Monument, according to a story from the Durango Herald. June 19, 2009 by Ken Ward Jr. Here in Charleston, today is the start of FestivALL, a great event that truly has something for everyone — even folks obsessed with all things coal…like Coal Tattoo readers. On Monday evening, an exhibit of Thorney Lieberman’s photos, “Honoring America’s Coal Miners,” opens at The Cultural Center. The event starts at 6 p.m. You can see the whole photo project here. For everything you need about FestivALL, be sure to check out the Gazette’s interactive map and schedule here. June 5, 2009 by Ken Ward Jr.
A Coal Tattoo reader was kind enough to point me toward a story in the Times Leader of Wilkes-Barre, Pa., about today’s 90th anniversary of a mine disaster that killed 92 workers. 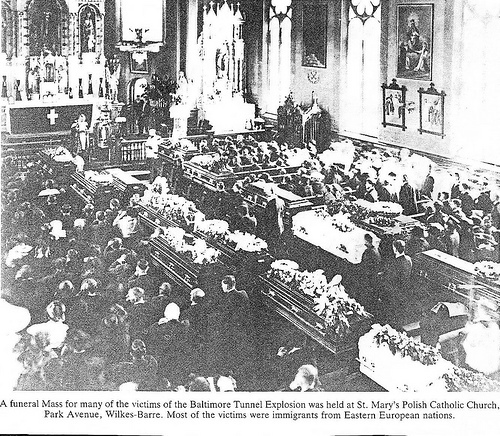 But with a quick search, I did find some more information here,Â as well as some historical photos on this Flickr site maintained by Susan Kane, whose grandfather was apparently among those killed in the disaster. June 3, 2009 by Ken Ward Jr.
That’s right — West Virginia’s top Friend of Coal, Gov. 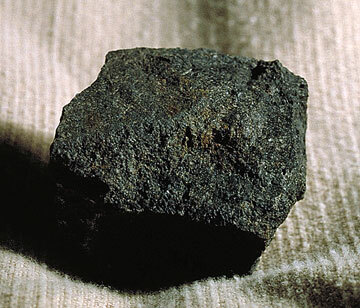 Joe Manchin, has signed a legislative resolution that declares coal to be our state’s officialÂ rock, according to a report from The Associated Press. This was House Concurrent Resolution 37, which hadÂ 46 co-sponsors. It passed the House by a vote of 96-0 (with four delegates absent and not voting) and passed the Senate by a voice vote. May 8, 2009 by Ken Ward Jr. In 2002, the nation watched the Quecreek coal mine in Pennsylvania, where nine miners were dramatically rescued after being trapped for three days by a mine flood. This January, the nation watched again, this time the Sago coal mine in West Virginia. Only one of 13 men was rescued after an explosion filled the mine with poison gas. But people seem to have forgotten the West Virginia mine disaster the nation saw unfold on TV 40 years before. Before there were Quecreek and Sago, there was Hominy Falls. My former collegue Tara Tuckwiller wrote that in April 2006, as part of a wonderful story she did about Hominy Falls, the mine flood disaster that occurred 41 years ago this week in Nicholas County, W.Va.
We’ve still got her story online here for folks who want to read and remember. 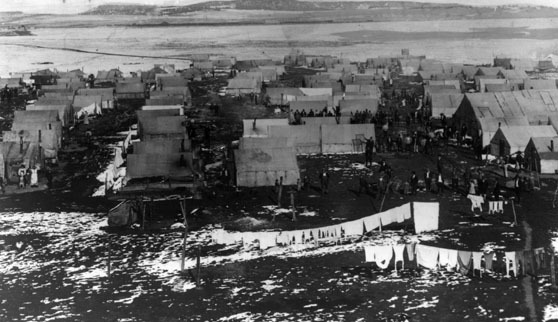 The Ludlow Tent Colony before the massacre on April 20th, 1914. 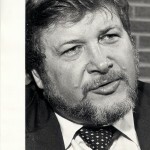 Photo from http://www.du.edu/ludlow/gallery1.html. Company gunmen attack a tent colony of striking UMWA families in Colorado, killing 18 men, women and children in the Ludlow Massacre. There’s actually a pretty decent write-up on Wikipedia, and there’s more information available from the Colorado Coalfield War Project. Also, there are two fairly recent books out about Ludlow and the Colorado mine wars. One is “Killing for Coal: America’s Deadliest Labor War,”Â by University of Colorado historian Thomas G. Andrews. He was interviewed last month by public radio’s Living on Earth, and that piece gives a good overview of the book and its subject. I’m reading Andrews’ book now, and it’s a great read. The other book is “Blood Passion: The Ludlow Massacre and Class War in the American West,” by journalist Scott Martelle. I haven’t read it yet, and would be interested in any comments from folks who have. The UMWA supports the listing of Blair Mountain on the National Register of Historic Places. As you and others have pointed out, the UMWA has long supported national recognition of Blair Mountain. UMWA President Roberts has spoken on several occasions about the need for national historic recognition of Blair Mountain, including sending a letter of support for naming the battlefield as a national historic site in 2006. The union was pleased to see the designation by the Keeper of the NRHP last month. 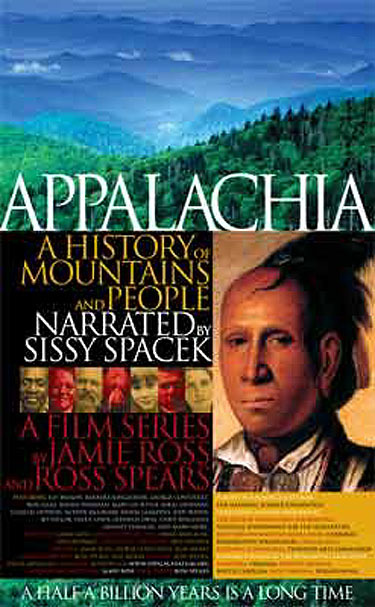 April 13, 2009 by Ken Ward Jr.
Steve Fesenmaier, who does the WVFilm blog for the Gazz, alerted me that Coal Tattoo readers might want to know about tonight’s start of the documentary series, “Appalachia: A History of Mountains and People,” on WV PBS. Read Steve’s take on the series, here, and also check out a report on it from West Virginia PBS’ news folks here. The series begins with Earthâ€™s oldest mountains â€” the Appalachians. We see how continents over millions and millions of years collide in a slow dance which ultimately results in the formation of the mountains we now know as the Appalachians. We trace the evolution of the Great Forest which blankets the region in green, forming a home for a unique mosaic of plant and animal species. Check it out at 9 p.m.
Where do our elected officials stand on Blair Mountain? I couldn’t help but fall for the suggestion on the West Virginia Blue blog that somebody ask the state’s elected representatives where they stand on Blair Mountain. Do you support the listing of Blair Mountain on the National Register of Historic Places? OK, so I’m weak … but I took this dare, just like I took the last one, when West Virginia Blue asked what reporter would be the first to get West Virginia political leaders to answer a question about deep mining jobs versus mountaintop removal employment. The response wasn’t as good this time. I asked Gov. 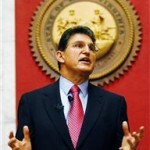 Joe Manchin, both of our U.S. 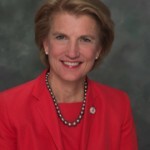 Senators, and all three congressional representatives for Blair Mountain question. 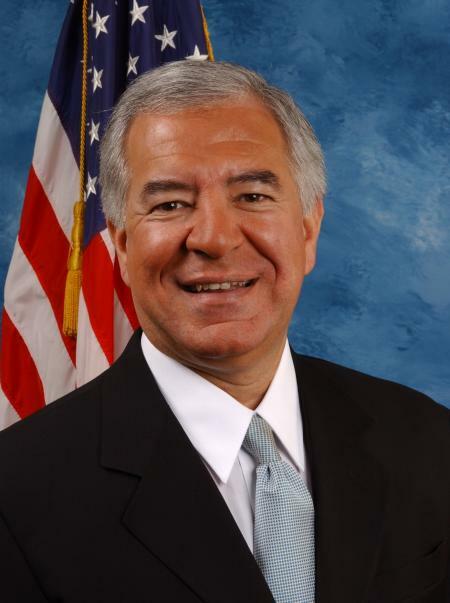 I only heard back from Manchin and from Reps. Nick J. Rahall and Shelley Moore Capito. Nothing from Alan Mollohan or from Sens. Byrd and Rockefeller. Today, as we grapple with difficult economic times and face many challenges both domestically and abroad, I take inspiration in what our forefathers achieved at Blair Mountain decades past. 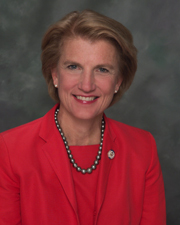 I’ll let reader decide if Capito and Manchin answered the question clearly or not. The Congresswoman believes that Blair Mountain represents a piece of West Virginiaâ€™s history and thereâ€™s no question that it has an important meaning to many in our state.Â Obviously she wouldnâ€™t want any process to overlook any local concerns surrounding the designation, but sheâ€™s supportive of efforts to preserve historic locations like this one. I recognize Blair Mountain is a very historic site that has emotional significance for many people who have family ties to the battle or who are living there now. We must grant those residents the consideration they deserve and we should respect the process for placing a site on the National Register. That process is left to the people who live there and who own the land affected by a listing. My concern is to make sure the process is followed and done properly and fair and that the parties who are affected by its listing will have input. April 7, 2009 by Ken Ward Jr.
There’s a bit more information out today via West Virginia Public Broadcasting about the attempt by state officials here to de-list Blair Mountain from the National Register of Historic Places — less than a week after it was initially added to the Register. “This is what was told to me this morning because I saw that …Â No one told anybody that I know of, and I don’t think there’s anyone that has an agenda there. Following up on my earlier post this morning, the West Virginia Division of Culture and History has provided this list of property owners who objected to the listing of Blair Mountain on the National Register of Historic Place. What we don’t know still: Which were the 8 landowners whose objections were added to the list in the last week? What’s going on with Blair Mountain? We know a little bit more about the Blair Mountain situation, but not much. As described in a story in today’s Gazette,Â the Manchin administration has asked the Keeper of the National Register of Historic Places to remove Blair Mountain from National Register. Randall Reid-Smith, commissioner of the West Virginia Division of Culture and History, cited objections from landowners that were “unintentionally overlooked” when the agency recommended the listing. April 6, 2009 by Ken Ward Jr.
Hey folks — the rumors some of you have heard are apparently true. Here in West Virginia, the Manchin administration has asked the National Park Service to rescind its listing of Blair Mountain to the National Register of Historic Places. (See previous posts here and here). There’s apparently some problem with the way objections from landowners were counted. We’ll have a story on the Gazette’s Web site later this evening … so check back for more. I wanted to pass on to Coal Tattoo readers the actual documents listing Blair Mountain on the National Register of Historic Places. I’ve posted the approval documents, signed Monday, here. I’m looking into some questions about the particulars of how this does — and doesn’t — impact proposed mountaintop removal operations in the area … so stay tuned. March 30, 2009 by Ken Ward Jr. The Keeper of the National Register of Historic Places has approved the long-sought nomination of Blair Mountain, site of the historic coal-mining labor battle in Logan County, W.Va., to the National Register. We’ve got the story on the Gazette’s Web site,Â and in our print edition tomorrow.